Stream anime episodes online for free, Watch Darker Than Black Episode 23 English version online and free episodes. 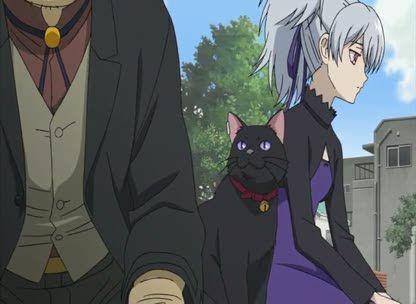 Anime Episode guide, Chapter Darker Than Black Episode 23 English dubbed God is In His Heaven… Eric Nishijima is using a particle accelerator to wipe out the Contractors. Amber gathers numerous Contractors to destroy the accelerator, and Dolls to be used for some other unknown reason. Nijishima, revealed to work with The Syndicate, places a phone call to eliminate Hei and his team. Amber sends a message to Hei via Wei, telling him to meet her in the Gate. Hei agrees and thus Huang, Mao, and Yin assist Hei to infiltrate Hell’s Gate with Wei’s guidance.